Great experience with this location! I got a last minute appointment and the staff was very accommodating and friendly! I was seen right away by Dr Marcaccio, who was very sweet and professional. The manager then assisted me with picking out frames/lenses that would help mask my high myopia the best. All around, wonderful experience. Dr. Marcaccio and the entire staff are knowledgeable and friendly. Highly recommend Texas State Optical Museum District! The staff here were so helpful and so friendly! I only had to wait a few minutes before being called back. The office was clean and they wiped down everything before each test! (I'm a germaphobe so this is huge for me!) The doctor spent so much time with me and made sure that she explained everything and also spent some time trying to get to know me, making me feel super comfortable. I will definitely go back to this location from now on!!!!!!! Recommend it for anyone looking for a new eye doc in the med center/museum district! I've been a customer here for two years. Today a screw fell out of my eye glasses and Denise was able to fix them and give me a new case free of charge! Talk about customer service! Deb was very welcoming and helpful when I walked in. What a wonderful experience. I always dread going to a new eye doctor because of what was diagnosed as lazy eye. Dr. Coursing was very knowledgeable and helpful. I feel much better about my eyes than I ever have. The rest of the staff was also friendly and knowledgeable. I couldn't be happier with Dr. Courson and with TSO! The initial eye exam was very thorough. I needed to be refitted with a different brand and prescription of contact lenses and the two follow-up visits were very helpful in making sure the prescription was what I needed. The staff is very professional and friendly and the location is extremely convenient with plenty of parking available. I would not hesitate to recommend the doctors and this office to everyone. I LOVE going to Dr. Angela! She treated my eyes from 1984 until I moved back to San Antonio in 1991. Then I lost track of her and thought she was lost to me forever until 2008. Eureka!!!! I found her again and she's been taking excellent care of my eyes every since. Thank you so much for helping me to see my very best. If you're looking for a great eye doctor with your best interest in mind, this is the place. Great staff and great selection. Thanks for the 4th of July bbq! I always come here to get my lenses put in my glasses. I'm obsessed with changing up my frames and I came to get my lenses changed and new contacts as well. I got new contacts and the prescription was too strong and they still allowed me to come back months later to get checked out for a new set. The staff is super friendly and they don't try to ever over sell you like other places do. Great spot in midtown and will definitely continue coming here to fulfill my vision impaired lifestyle haha. style. I ended up with 4 new pair. This is my new favorite place! Awesome, Amazing, Kind!!!! The staff and doctors here are super friendly and professional. I always feel well taken care of and they are quick and thorough. The optometrist made sure to explain everything about my results and what was going on with my eyes. As a first time patient at this facility, I must say, my experience was pretty flawless! The staff was so accommodating and personable. My eye exam was comprehensive and super informative. Martha is a TRUE sweetheart. She was able to fix the same frames my late father passed down to me when places refused to even look at them. This TSO location is definitely my new home! I needed a new pair of glasses urgently and Martha cut them for me while I waited, it only took maybe about 15 minutes. Thank you, Martha! You are amazing!! The doctor and all of the staff at this TSO are so fabulous... They're warm, kind, patient, fun and very knowledgeable. The best vision care I've ever had is at this TSO. Thank you all so much!! I love Dr. Marcaccio! I used to see her when she was at a different office, but followed her here. She always makes me feel comfortable and provides the best service and knowledge. She holds me accountable when I tell her I've been bad and have been sleeping in my contacts. Turning a new leaf, and trying Dailies and I feel like I can see better than ever. Her staff is also very friendly and helpful. They have a great selection of unique and trendy frames. A friend had some glasses that got pretty banged up during her Harvey evacuation. Before heading to the Houston Center for Contemporary Craft to check out the (AMAZING!) sign painters' show, I stopped in Texas State Optical next door to see if my friend's glasses were salvageable. A new screw, some tightening, a little straightening, and two new nose pads later, they were as good as new. The best part: no charge. That's good neighborhood business right there. Thank you, TSO, for the TLC! My vision has, historically, never been fully correctable. I have always been 20/25 to 20/30 with glasses. Dr Richardson correct my eyes to 20/20, for the first time in my life. The sweetest people I have ever met💚 Martha helped us out a lot and was so accommodating and caring. If you're looking for amazing customer service along with knowledge on your eyes, the this is your spot. For the first time ever I understood what's going on with my eyes! Helps me take care of my eyes even more!! Oh and their technology is incredible!! I didn't have to get dilated and wear those funky glasses anymore! Fast and friendly service. I was made to feel comfortable.The staff and doctor very knowledgeable and caring.Thank you for the excellent service. Tevin has exceptional customer service. He took time to figure out what I was really looking for, then suggested frames that fit my face and personality. He did not rush me when I had trouble deciding, but exhibited great patience. Outstanding! You rarely see a business with such amazing customer service. I am very impressed. I live out of state, but they were able to help my son who lives in Houston with contacts and glasses. We could not be happier. They really go above and beyond. Best eye doctors by far! Dr. Richardson is very knowledgeable and awesome! And staff are always friendly, accommodating and helpful. Wait time is never an issue and pricing is competitive. I love Mel, who handled my eye glasses and contact purchasing/insurance. I would recommend this office to anyone looking for a highly skilled, highly professional and welcoming team. Excellent customer service and high grade professional optometry advice. Could not be happier with the experience at this store. Highly recommend. The range of brands of frames is very diverse and the staff are happy to work with you to get exactly what you want out of your new glasses. Angela Marcaccio is great! I've gotten LASIK through her recommendation and my eye sight is still 20/20 a year later. I would highly recommend this business. The customer service was above and beyond. Without getting into all the details, Tevin was able provide excellent customer service for our son who lives in Houston when we live in Oklahoma. He went out of his way to take care of the details and I felt very comfortable. He explained all the pricing and was very detailed. I will definitely recommend them to all my Houston friends and family! I started seeing Dr. Matocha about 25 yrs ago in Memorial City Mall. She figured out, through a lot of trial and error, which contacts were for me. Some may have given up on me, put she patiently kept trying and finally figured it out. She goes above and beyond for me and I'm sure her other patients as well. She is the best!! As long as she is still practicing, she is my Dr!! Dr. Marcaccio is great. She worked with me to figure out the contacts that are best for my eyes. Thank you! Awesome staff. Awesome doctor. Great selection of lenses. The service was unexpectedly great, not just good. You can tell they actually care and like what they do. First time to this TSO location, felt like I was family. Efficient, knowledgeable, and overall very pleasant experience. I wear daily wear contacts, Dr. Matocha listened to my needs and explained everything very well. She pointed out the great rebate and the receptionist walked me through the pricing. Didn't feel rushed at any point, and would definitely recommend this office for all your optical needs. I have been a satisfied patient for many years, the staff is friendly and professional. Dr. Marcaccio is great and I recommend to all who care about their eyes. My visit exceeded my expectations. I was able to get the glasses of my dreams, that I first saw two years ago. Dr. Angela mentioned that they were there, I put my hands right on them and now my life is almost complete. I can't wait until they are ready. I do not remember the lady's name who verified my insurance and made my dream come true, but I bet you I will get it upon my return, she was the best of the best. I was a client of Angela's father many years ago, and I have to say "like father like daughter" the same wonderful mannerism. Thanks, Thanks, Thanks, and God bless. Great service. Dr.Matocha has been great for last few years. Had my first optometrist appointment in over 15 years with Dr.Linda Matocha. She was great and patient while explaining all the procedures. She took her time, unlike a lot of doctors you come across nowadays. I will definitely be recommending her to my friends and family members. Her staff was great too. They took their time helping me out to chose the right glass frames and explained my insurance and it's coverage in detail. Overall, great experience! I loveeee this TSO the staff members are the best, especially Ms Martha at the front desk!!! Me and my family have been going there for years. Dr. M is the best also she's so professional and explains things easily for me and my girls and she's always dressed cute!! Love them!!! Dr. Marcaccio was helpful & patient, she helped me picked awesome frames. TSO support staff was attentive and took the time to explain coverage, very friendly. I usually do not write reviews unless its a complaint but I was so very pleased with my recent appointment at TSO/MUSEUM DISTRICT that I had to write this review. The staff is very professional and very pleasant they give you the impression that they really care about your vision & your not just another patient. As soon as I walked in they made me feel very welcome & comfortable especially Dr. Marcaccio. With all the up-to-date equipment and the pictures Dr. Marcaccio took she was able to find hemorrhaging in the back of my eye and because of her I have a possible chance to SAVE MY EYE. People don't realize how important it is to have a exam on a regular basis!! I AM SO GREATFUL FOR EVERYONE @ TSO/MUSEUM DISTRICT!! Dr. Marcaccio you are an excellent Doctor! its RARE to find a Doctor who cares enough to take their time and explain everything to you these days. Your kindness reflects down to your staff and it show.. I am recommending all my friends and family!! This is the first time seeing Dr. Marcaccio she is by far the best! Very personable, efficient, and explained everything in a manner that was easy to understand. She is a genuinely caring person. The group was very professional and courteous. Martha was very knowledgeable and helpful, she made sure I was comfortable, and went out of her way to make sure my glasses were ready in just a couple of days! I have recommended them to friends and family. A big thank you to all the group at the TSO Museum District location! 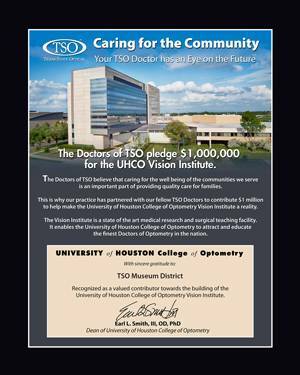 THE TSO Museum location has our favorite eye doc in Dr. Angela Marcaccio. She has been our doctor for 4 years or more. She is very thorough, extremely knowledgeable, and fun to visit. This TSO overall has great people and eyewear options. I recommend Dr. Marcaccio and TSO whole heartedly. 10/10. Can not recommend this TSO enough. Dr. Marcaccio and Matocha are great practitioners who love what they do. I have been going to this location for years now and wouldn't think of going anywhere else. 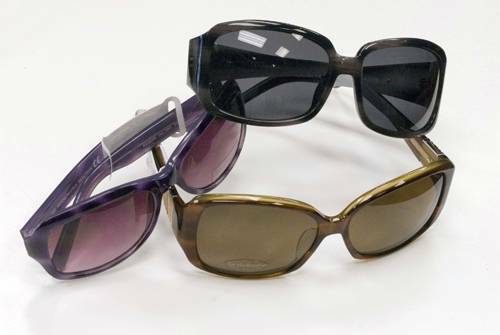 They have the best frames and the staff are great at getting you the right fit and look. Dr. Marcaccio always knows what are the new styles and really ensures that you are satisfied with your new look. I will always recommend this location, staff and providers to anyone who is looking for well rounded eye care. I've been wearing glasses for over 15 years now and have used eye doctors in 3 states, and 4 cities. This has been my favorite place so far. The doctors are very helpful and so is the staff. I would highly recommend that you get your eye exam here. "Excellent place! The doctors are super friendly and very good at explaining stuff. Highly recommend this practice."